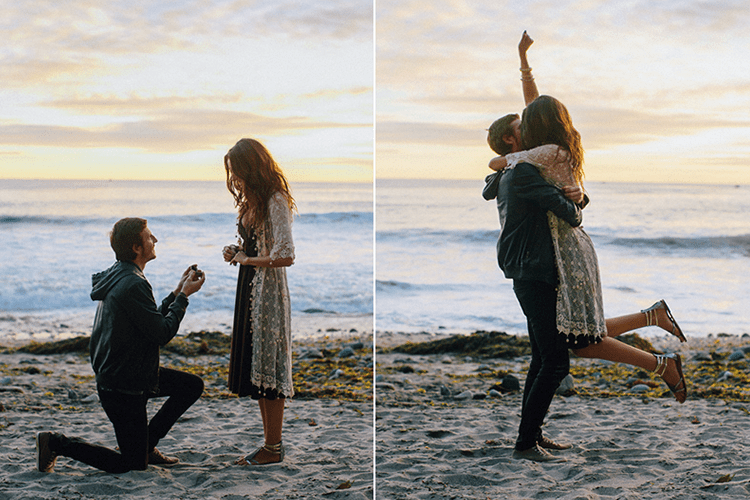 Your proposal is not a photo opportunity, or a video shoot. You can document it if you want, but it should not be your main concern on this day of days. 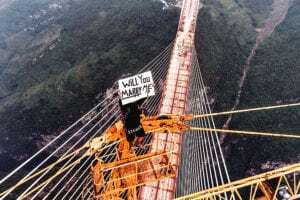 Obviously, we live in an age of awesome smartphone cameras, so chances are you’re going to take a few photos, or a maybe a video, during this big moment. But make sure you don’t fall into the stereotype of the social media obsessed millennial. The important thing is to ask the question and get a “yes,” not make a cool video for your sizzle reel. 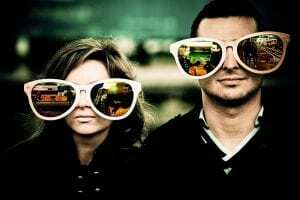 We generally frown on elaborate proposal videos or photo shoots, but if you are intent on thoroughly documenting your proposal, here are some tips on how to capture the moment without ruining it. The ESPN Trailer: a big production, including talking head testimonials, shots of you nervously getting ready, two-camera coverage of you popping the question, and post-game interviews with her–all set to stirring and romantic music. Think about what she would want–both for the proposal and the record of it, and plan accordingly. Once you’ve figured out what you want to do, pick a location that will help you, not hinder you. 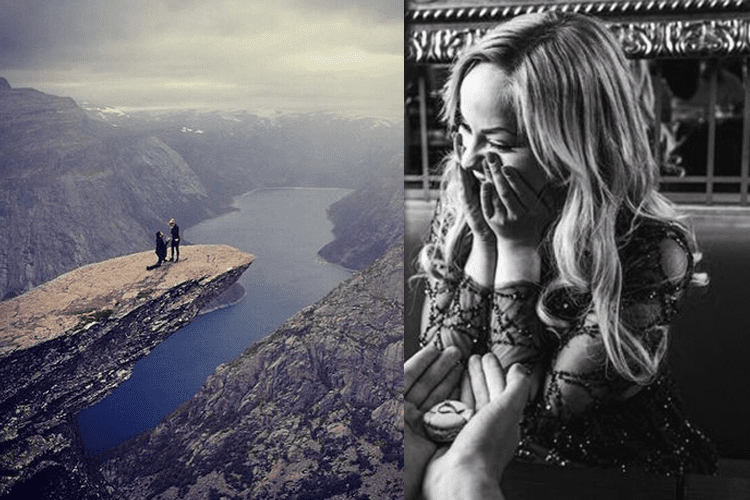 If you want to shoot a video, don’t propose next to a roaring waterfall, as no one will be able to hear a thing. If you want a beautiful backdrop, make sure the view is not going to be obscured by construction, fog (yeah, we’re talking about you, Golden Gate Bridge) or hordes of tourists. If you are going for simplicity–a photo or two after you’ve given her the ring–then you have more options. Obviously, you can move to another location to take those pictures. But try to find a time of day and a type of light that makes for good portraits (the soft, diffuse light of a cloudy day is preferable to the harsh bright light of a sunny one, for instance). How much of the scene do you want to include in these proposal pictures? Are you thinking a close-up, so you will be able to see the surprise on your girl’s face? Or a longshot, so that you are two small figures in a huge, beautiful landscape? Similarly, if you are filming a video, are you going to include the guy on the nearby park bench, eating an ice cream cone and getting frozen chocolate dip on the front of his shirt? Or the pile of unwashed laundry in the corner of the room, if your proposal is at home? Remember, you don’t want to spoil the proposal itself, so you need to consider these things beforehand. 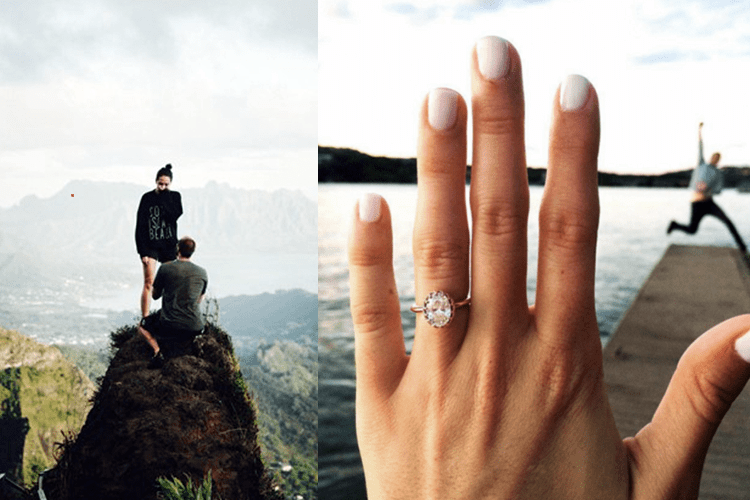 One of the most gratifying aspects of getting engaged, especially for her, is calling people with the news and getting their reaction in real time. So don’t be a yutz and immediately post your photo or video to a social network. Give yourself the chance to savor this experience. Then call the people closest to you, the people who would be pissed if they found out about it through a Facebook notification. Definitely call your parents–your mom in particular. You Dad will most likely play it cool, but your mom is going to go berserk. Let her–she’s probably been secretly worried that you’re going to blow this whole thing, so this is a sweet moment for her as well. This is one of the most important events of your life, so you want to be in the moment, not spending all your energy trying to capture it.